With the introduction of the Samsung Galaxy S8, and now continuing with the Samsung Galaxy S9, Samsung has eliminated the physical Home button. Now the Home button is a button at the bottom of the touchscreen. While this allows you to get a little bit more screen real estate on your device, it does present a few problems here and there when it comes to commands that used to require a physical Home button to perform. One of these is taking a screenshot. Today I will show you how to take a screenshot on your Samsung Galaxy S8 so you can capture anything you want on your screen. It should also be noted that this guide will also work for the Samsung Galaxy S8+ and the Samsung Galaxy S9 and S9+ as well. Here are two ways you can take a screenshot. The first method is actually the stock way of taking screenshots in Android. 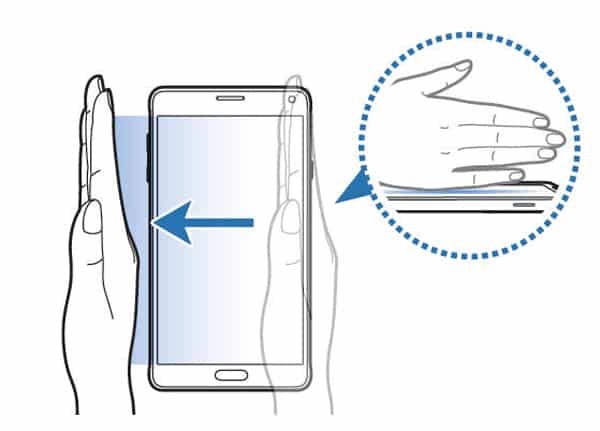 In the past, Samsung changed this on its past devices and never bothered to change it back to the default way of doing things simply because the S line of phones had a physical Home button. But with the removal of the Home button, Samsung decided to change it back to the vanilla Android way of doing things. 1. Open the app, setting or screen that you want to capture on your smartphone. 2. 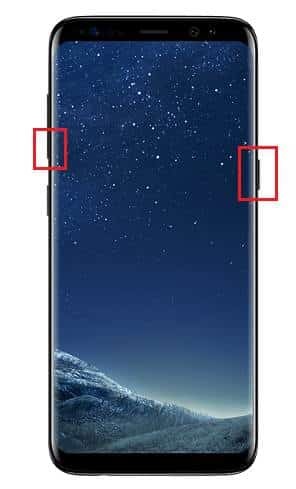 Press and hold the volume down button on the left side of your S8 and the Power button on the right side of your phone at the same time. Wait until you hear the click. 4. The screenshot will be saved in your Gallery. This next method is kind of fun, but sometimes hard to pull off, especially if you have really large or really small hands. 1. Open the app, picture or whatever you want to capture on your display. 2. Hold your hand straight, with your thumb facing up away from your phone. Think karate chop. 3. Swipe the entire bottom of your palm from right to left across the screen. 4. The screenshot will be taken and saved in your Gallery. There are many reasons why you will need to know how to take a screenshot on your Samsung Galaxy S8. Whether you are taking a shot of a website, capturing a setting so you can remember how to do it, or trying to save a picture you found on your phone, there are a lots of reasons to do it. Knowing how to do it is key. Thanks to the removal of the Home button, how you do it on Samsung is now more in sync with how you do it on a stock Android installation. Of course, if you are brave, you could always try the palm swipe method as well. Either way will work very well and you will be taking perfect screenshots of just about anything in no time. Which method do you prefer, the buttons or the palm swipe? Tell me which way you take screenshots and what you like to capture on your smartphone in the comments below.